Ken Griffey Jr. hits his second home run on Sept. 22, 1997, against the Oakland Athletics. The home run gave Griffey 55 home runs, six short of tying Roger Maris’s record. One hundred percent of public ballots have Ken Griffey Jr. going into the Baseball Hall of Fame, which should surprise exactly no one. The only suspense Junior’s election year was ever going to see was the question of how close he comes to unanimity, and whether or not the Baseball Writers’ Association of America conscripts an ordained bishop and a team of surveyors to find and consecrate center field at the site of the old Kingdome. It’s been a while since a position player of Griffey’s caliber went into Hall of Fame Day so certain of induction — Rickey Henderson in 2009 was probably the last — and a lot of the ink that’s been spilled over Griffey focuses on the more ethereal qualities that made him the face of a generation (a generation starving for Hall of Fame consideration, I might add): his style; his athleticism; that grin; that effortless, fluid, magisterial swing. If hall voters could vote in a GIF, I swear to God this thing would have a plaque by the second ballot. 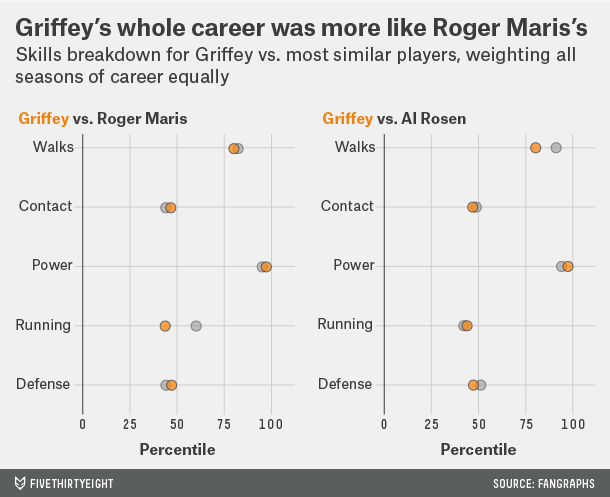 Statistically, though, Griffey isn’t talked about in exactly the same way as most players. His artistry was so unimpeachable, his heights so dizzying, and his fall so precipitous, it seemed, that talking about the full measure of his career in the persnickety, CPA-hued style of the modern baseball apparatus not only feels like stapling together two completely different players — The Kid and a mere, fallible mortal — but also carries a certain inevitable, Nearer, My God, to Thee sadness about the career he might have had. This is a mistake. The mystique of Ken Griffey Jr. doesn’t diminish any when held up to the lamp. If anything, panning reality out of myth only seems to grow the myth. 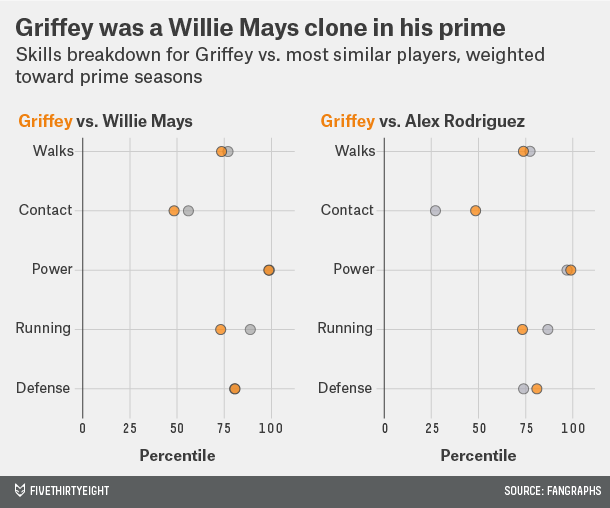 Consider: If we break down Griffey’s skills1 relative to the major league average — giving excess weight to his best wins above replacement seasons, to better capture what he was like in his prime — and look for players with similar profiles in their best years,2 the prime version of Griffey was the closest thing the majors have ever seen to the great Willie Mays. Mays had a slightly better eye at the plate, made more contact and was a better runner. 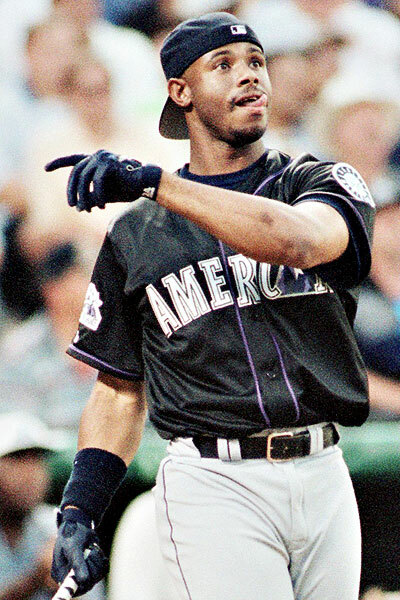 Otherwise, peak Griffey was the spitting image of the Say Hey Kid’s best years: a profanely powerful hitter and elite defensive outfielder with great speed and patience, and solid contact skills. But let’s say we give in and run the same exercise without giving extra weight to the most thrilling years of Griffey’s career. In that case, we find Roger Maris, whose single-season home-run record Griffey flirted with in 1994 before labor strife brought the season to an abrupt halt. This is a telling comparison. Over their respective careers, Mays and Maris boasted nearly identical marks in power, contact and plate patience, but they differed greatly in the most dynamic areas of the game: speed and defense. Likewise, late-career Griffey retained much of his familiar hitting profile, but he became unrecognizable in the field and on the basepaths. 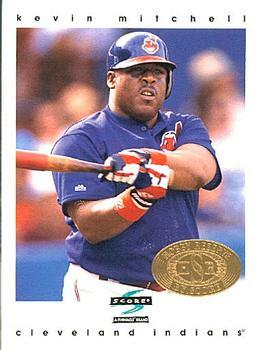 After stealing 167 bases in the first 11 years of his career, Griffey swiped only 17 over his final 11 seasons. He also joined the likes of Adam Dunn and Manny Ramirez as one of baseball’s least valuable fielders over his final major-league decade, an outcome that seemed unthinkable when Junior was pulling fly balls off the wall at a dead sprint and doing his “I got it” routine across the Great Lakes. The effect is so extreme that if we invert the prime-weighting scheme from above, instead giving excess weight to a player’s worst seasons, Griffey suddenly profiles like a lumbering slugger in the mold of Kevin Mitchell or Prince Fielder — a far cry from the sprightliness of his ’90s heyday. 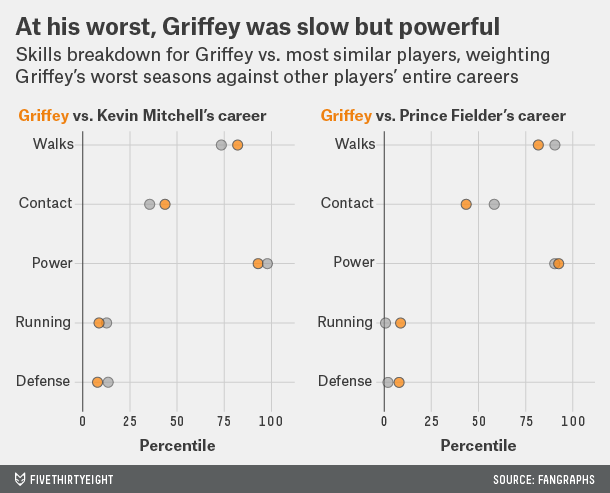 But here’s the thing: While Kevin Mitchell and Prince Fielder were and are, uh, hefty, they’re also pretty good players. Among non-pitchers since 19133 with 3,000 or more career trips to the plate, each ranks in the top third in WAR on a per-plate appearance basis. His skills may have been undermined by constant injuries, an ill-fated contract and geriatric napping, but even in winter, one of Griffey’s closest comps was a 31-year-old six-time All-Star. 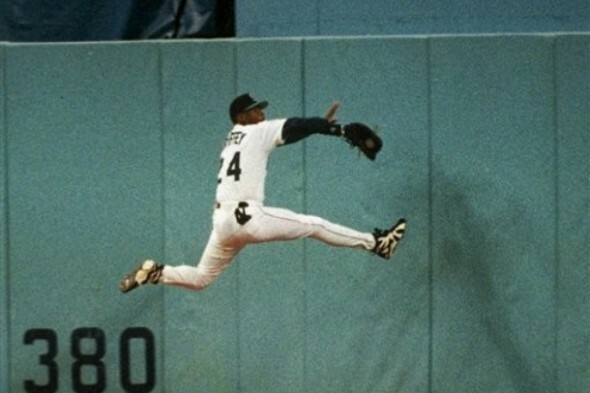 There are many faces to Griffey’s stardom. He might have been baseball’s last truly mainstream superstar, which takes on even more meaning in a sport with an ever-dwindling base of African-American players. The iconography of Griffey — the fun-loving, video game-endorsing, steroid-free natural athlete — always meant his case for the Hall rested on more than mere numbers. 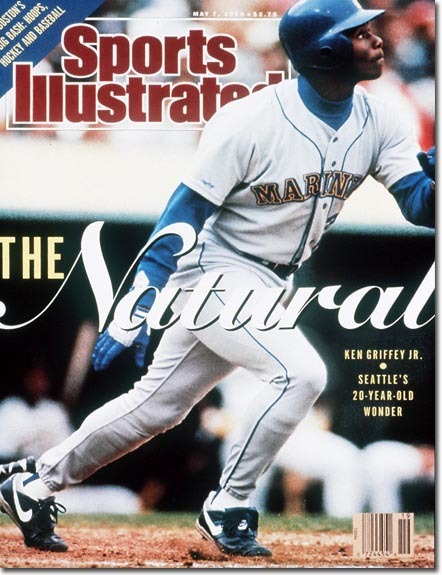 But as we all celebrate Griffey’s career this week, it’s worth remembering that Griffey’s numbers are no mere thing, and his statistical legacy isn’t so fragile as to topple over at the first gust of scrutiny. Even during his worst days, Griffey remained an All-Star-caliber player; during his best, he really was the second coming of Willie Mays. Generating similarity scores by summing the squared differences of any two players’ percentile ranks in five skill categories — contact rate, isolated power, walk rate, running ability (which includes speed score and baserunning runs) and defensive WAR — and weighting the differences according to each category’s influence on overall WAR. The earliest season, continuous from 2015, for which FanGraphs tracks strikeout rate for batters.